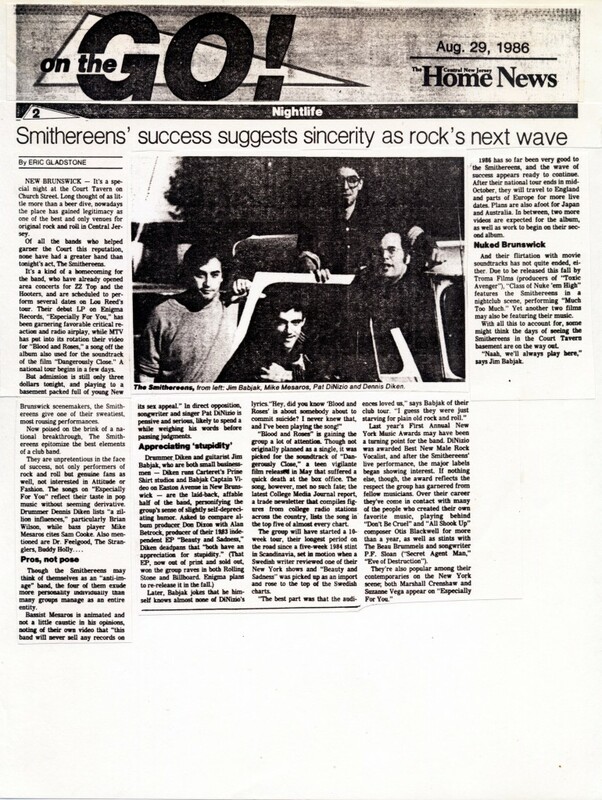 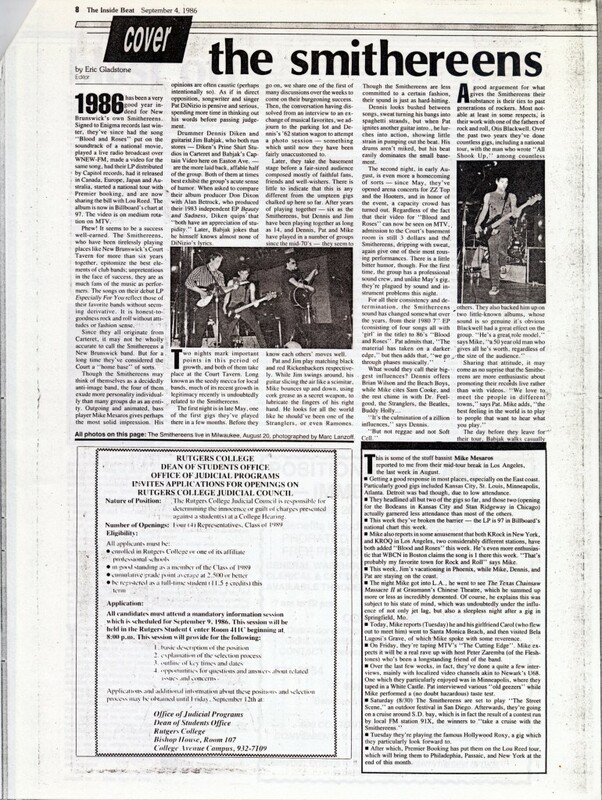 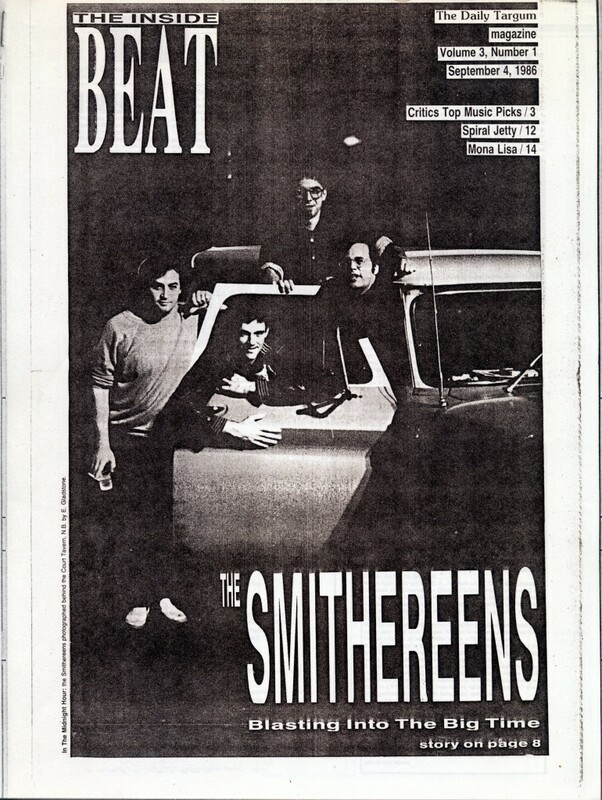 The Smithereens were one of the first of several bands coming out of New Jersey that I was fortunate enough to write about in the early years of my career as they emerged to national attention (others included Monster Magnet and Ween). 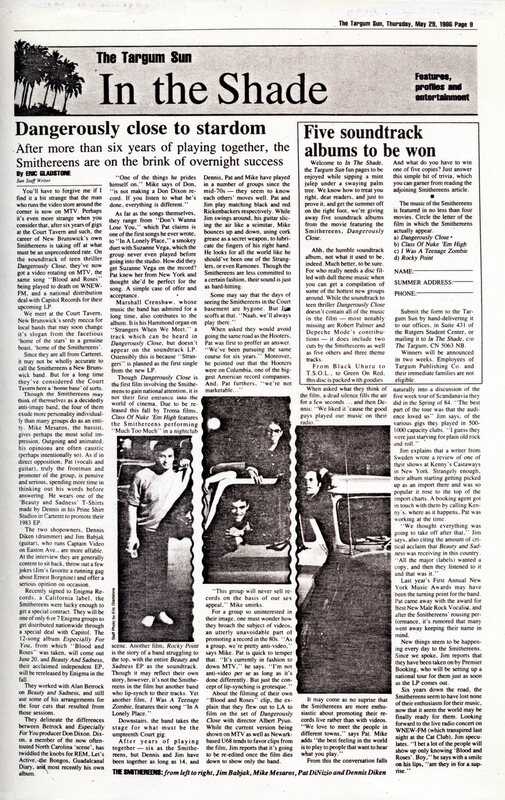 It is an incredible feeling to see a band who played your local bar appear in movies, on TV, and eventually score a #1 hit. I think these articles (three revisions in a short period of time) capture the energy and excitement of that experience, even if they are very rough by my own standards today. 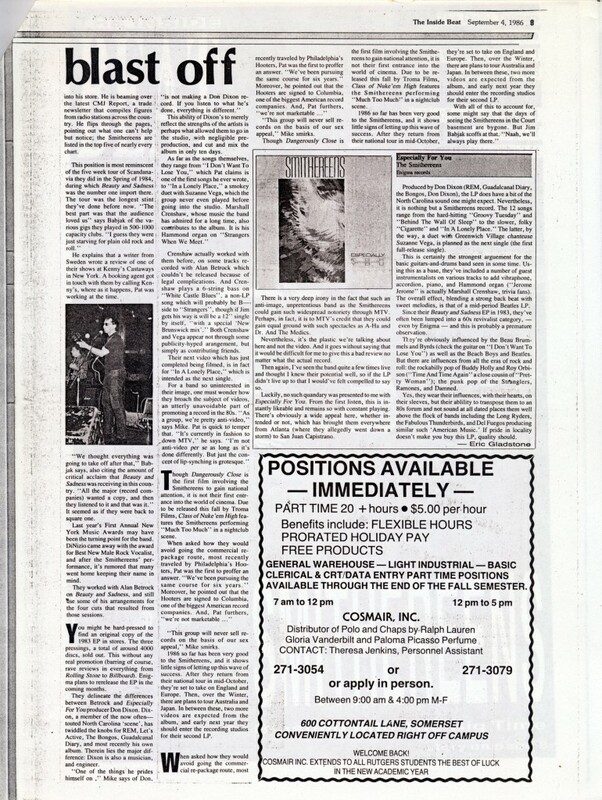 Click on all pages to enlarge.